Library of common routines shared between OreCruncher's mods. Does not provide any functionality on it's own. What is THE "Orelib Support mod"? where can i find it? You’re probably thinking of Dynamic Surroundings, a fantastic client-side audio- and visual-focused mod. what is "orelib support mod" ? lol. Unfortunately modders do things slightly differently or have different needs. It's why there is a proliferation of these things. understandable that many authors do stuff differently, however; there are some authors that only have 1 mod that use the library (removing the point of the lib), and oftentimes library mods could easily be packaged with the mod that requires them almost as easily. Completely understandable for modders but unfortunately for modpack makers all these zillion library mods bloat up your pack when your're trying to keep things streamlined. If two mods do the same thing just as well but one uses a library mod and one doesn't I'll go for the one that doesn't. Not sure what you mean as bloat. Libraries are essentially code/assets/whatever shared between mods. If I were to actually duplicate the code in my mod JARs that would create bloat and increase the cost of maintenance at my end. I didn't mean from a coding pov. Like I said I'm sure it's more convenient for modders. I meant when creating a modpack it makes things more difficult when going through a large modpack looking to find incompatibilities and crashes and having to remember what library mod goes with what. Or if I even need a certain library mod at all. 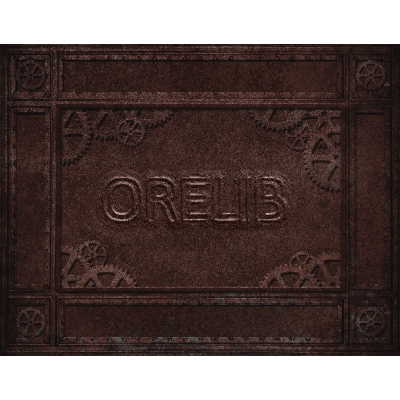 After all it's very easy to forget what on earth I need something called 'Orelib' for. Which is why I prefer em packaged with the mod if possible. Also remember that when creating a modpack we often aren't using all of a single author's mods with their shared code (which is indeed more streamlined). You might just want one. You end up using loads of different library mods from so many different modders which in my experience tends to decrease performance. That said, a library mod isn't going to stop me from using it if it's a great mod.